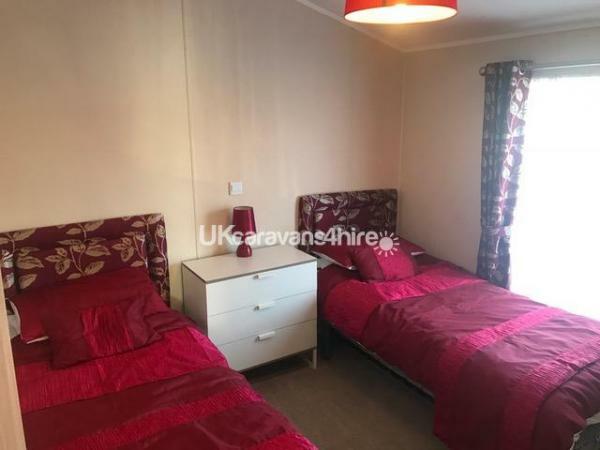 Luxury Willerby Boston Lodge, 2014 model, 2 bedrooms 1 king size with en-suite shower toilet & hand basin, 1 twin with extra bed, both bedrooms have walk in wardrobes with lots of storage space, Full bathroom bath with overhead shower. 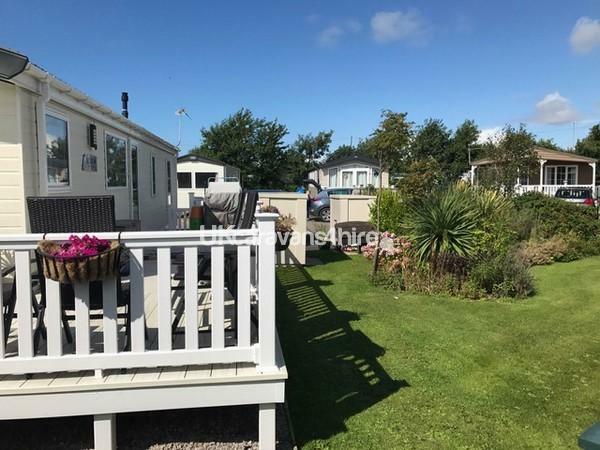 Bright & sunny open plan lounge with dining area, Patio doors open onto large decked area with table & chairs ideal for eating outdoors overlooking quiet garden area. Ramp access with gate. Private car park. 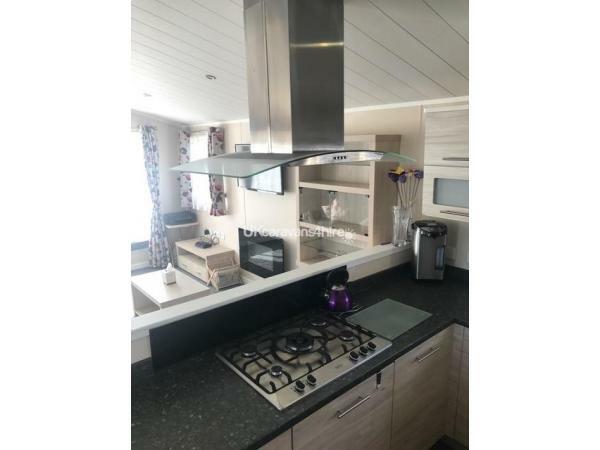 Superior fully fitted kitchen including dishwasher, washer/dryer, full size fridge & freezer, gas oven with separate grill & 5 ring hob, microwave, toaster, tea towels, hand towels & dish cloths provided. Tea coffee & milk on arrival. This was our first visit to this lodge and wan't be our last. It has everything you need and more. 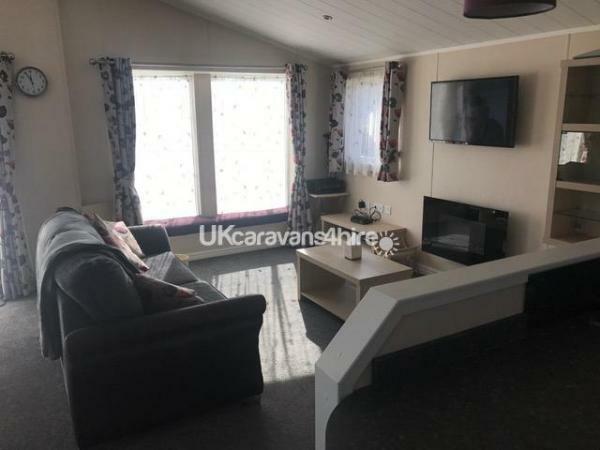 The lodge is in excellent condition and very clean. We visit Cala Gran a lot over many many years and this is the best accommodation we have stayed in.The owners are easy to deal with and very helpful. We cannot wait for our next visit. Thank you for your comments, we are so pleased you hada good break and we look forward to you staying again. Hi just returned from a wonderful break with my grandchildren .The lodge was fantastic . Everything you would need was there .everything working in great order.being with very young children 18 months and a three year old having a full size bath was brilliant .The walk in wardrobes in both rooms was very usefull and they ment the lodge was kept tidy and every thing out of the way from the children.I could go on all day about the accommodation as there was no negitive things about the lodge what so ever and just before I go I have to mention having the use of a washing machine was amazing as you know two youn children your forever washing and this ment we were not arriving home with dirty clothes and towels . Well we will defenatly be back.From the easy ness of the booking and the friendlyness of the owners all I can say is ROLL ON NEXT VISIT . Thank you so much for the review. So glad you had everything that you needed we do try to accommodate all needs and you are more than welcome back next year. Kind regards. Thank you for your review, we try to accommodate for all needs. 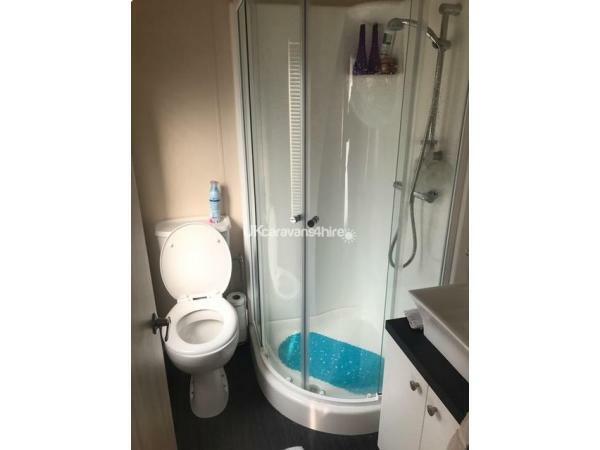 We apologies if you think the cleanliness could have been better, if you had contacted us we would have tried to rectify the problem. We hope you will come back and stay again. Kind regards. Thank you so much for your review, you and your family are more than welcome back to stay. We are so glad that young Hugh enjoys the Lodge, you and your family are perfect guests. Wow! Just got back from a week staying in this wonderful lodge. We have been regular visitors to Cala Gran for several years but this was our first time staying in Anna and Sue's lodge. We would definitely book again. The lodge is beautiful and has every facility you could ever need. As a family with two older boys (14 & 10) the space, a TV in each room and especially the free wifi was a real god send. The boys were gutted to leave after only 7 days and asked if next time we could book for longer. The location of the lodge is fabulous. It is in one of the quieter areas of the site, with most of the properties around you being privately owned. The decking gets the sun all day, which my wife loved. The massive dedicated freezer means that you can do a "big" shop at the Asda up the road and not have to worry about where to store it. Every interaction I have had with these ladies was great; they are quick to respond to emails, texts or phone calls, with no question being to silly or frivolous for them to answer. All in all a fantastic holiday experience that I can not recommend highly enough. Thank you Anna and Sue, from my whole family. Thank you so much for your review we value the reviews as it lets us know if we can improve our service. You treated our lodge with respect and you are more than welcome to stay in the Lodge again. Thank you Michelle, you are welcome back anytime. Stayed here with our young grandson, had a comfortable wonderful stay. Lodge brilliant, neighbours nice people. Have already booked for next spring bank holiday, can't wait. Would highly recommend. Just arrived home today from staying in the caravan that I hired for the week from Sue & Anna. 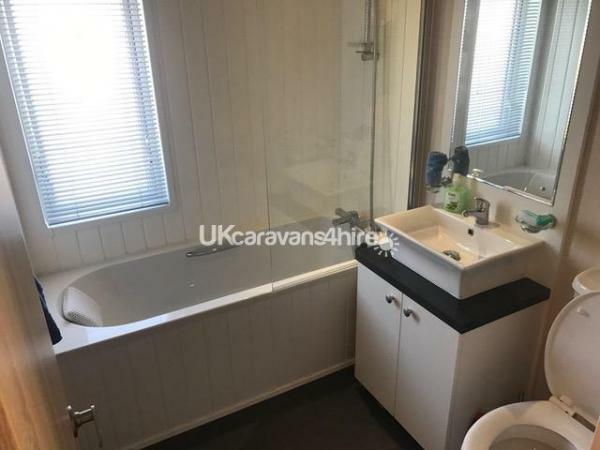 What an amazing caravan, it was home from home, my little girl slept all night in a strange place, the caravan was gorgeous & everything you needed was provided, i.e. home essentials. I loved the outside, I could let my little one play out whilst I was making tea, there I knew she would be safe as the ramp had a gate. 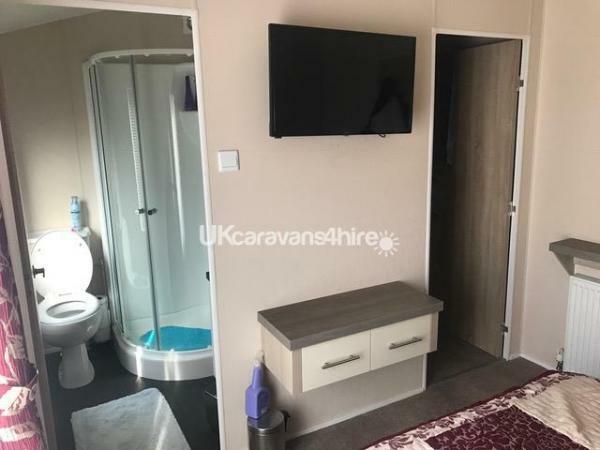 Was very handy having walk in wardrobes and an en-suite bathroom, felt posh being in a caravan with a bath. Was easy upon arrival to collect the key from a neighbour and hand it back to them, also two very lovely people. We had a wonderful stay & thank you to you lovely ladies for letting us rent your caravan. Would definitely stay again!! Thank You, perfect guests , you are welcome back any time. 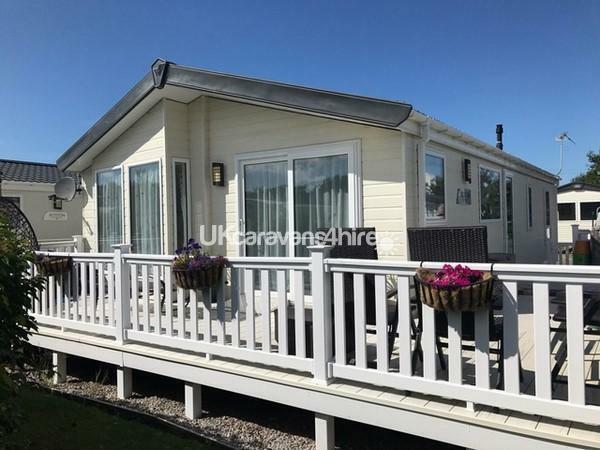 We stayed in this amazing caravan for a couple of nights over the may bank holiday. Me, my wife and 2 children aged 8 and 14. 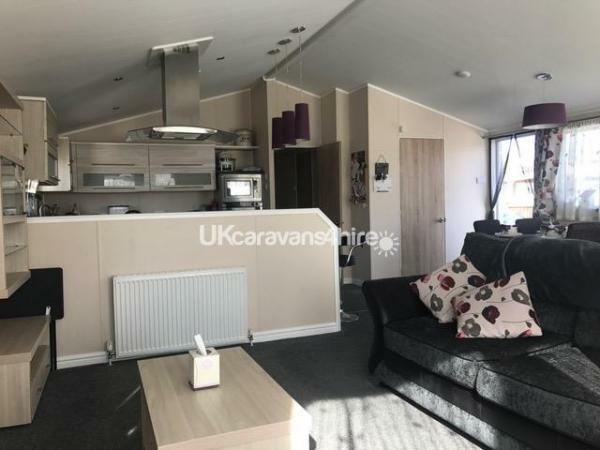 This caravan is amazing, its much more than your standard caravan and is really big like a lodge. 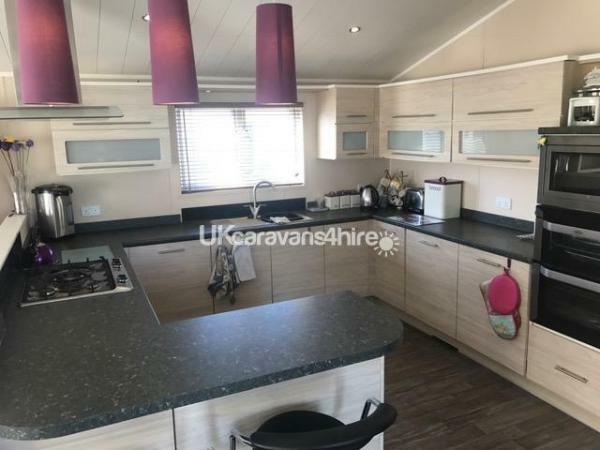 The kitchen is fantastic with all everything you need, the beds in the bedrooms are far better than standard caravan beds. Also the owners went above expectation by putting in your everyday needs stuff like tea, coffee, milk ect. When your on a short break this is great as it saves buying all the extras before you go. 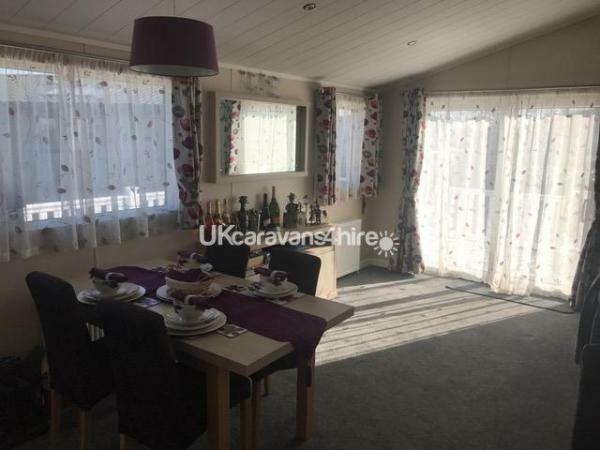 The outside of the caravan is also lovely and the patio area is really good for chilling out or even eating when its sunny. 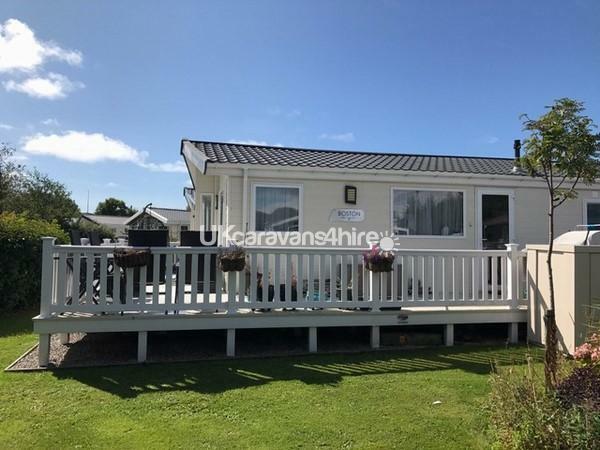 The owners were really polite and met us on arrival and shown us around the caravan which is a nice touch, and also was really easy on departure when handing the keys back to a neighbour. All in all a nice few days and we would definitely recommend and will stay here again in the future.